In the latest episode of the “Powerhouse Politics” podcast, ABC News chief White House correspondent Jonathan Karl and ABC News political director Rick Klein interviewed Breitbart News Senior Editor-at-Large and New York Times bestselling author of Clinton Cash Peter Schweizer. “There’s not going to be an email that says, ‘Do this and I’ll give you the money,’ but I do think that the emails indicate that oligarchs went to the Clinton Foundation and they didn’t go through official [State Department] channels because they thought they could get to a higher level more quickly at the State Department to decision makers that matter to them,” Schweizer said. “What the Clinton Foundation did was create a conduit whereby a foreign entity who cannot donate to a campaign, and get access that way, could donate to the Clinton Foundation,” he added. 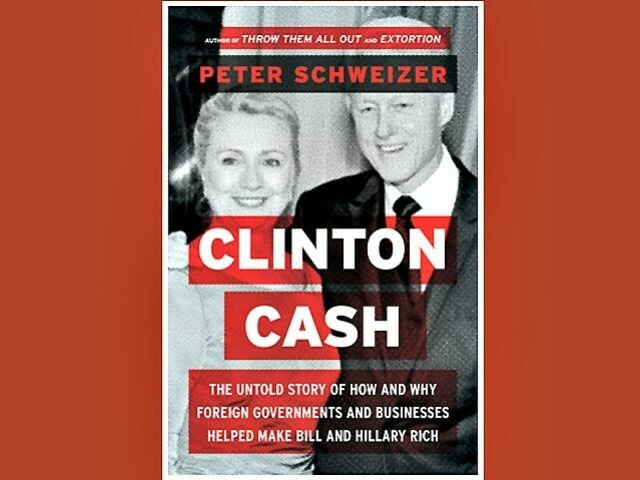 A new report from the Schweizer-led watchdog group Government Accountability Institute, the author says, “has the hallmarks” of corruption “where you see a high concentration of the participants in [Skolkovo] being Clinton Foundation donors, both on the Russian and on the U.S. side. Which I think also begs the question of ‘why is there this high level of correlation between the Clinton Foundation and the State Department?’ and I think it is precisely because there was a pay-to-play culture. Schweizer was responding to Bill Clinton’s announcement last week that he will resign from the Clinton Foundation board and stop giving paid speeches if Hillary Clinton wins the White House in November. “Bill Clinton’s speaking fees skyrocketed after [Hillary] became Secretary of State,” Schweizer said. Schweizer said, “I’m a little skeptical” about “the safeguards that they’re putting in place now.” He says Hillary Clinton breeched the Memorandum of Understanding she had made with the Obama administration before she became Secretary of State, and has also failed to disclose the identity of more than 1,000 foreign donors. “There was only one foundation that was called the Clinton Foundation while Hillary Clinton was Secretary of State and is still operating right now as she is a candidate for the president of the United States, 75 days out,” Klein said.